Risk-based goals (RBGs) for groundwater were derived to be protective of onsite workers inhaling indoor air in Buildings A, B, and C of Block I of the Middle River Complex. The RBGs were calculated using modeling of vapor intrusion into the buildings using two modeling approaches: the Johnson and Ettinger Model and ViM. Detailed descriptions of each model can be found in their respective references. A summary comparison is shown in the project report. The Johnson and Ettinger model is the simpler of the two models and assumes a steady-state source term. ViM accommodates a time-variable source term. Another difference in the two models is that ViM has the option of using a Monte Carlo analysis. 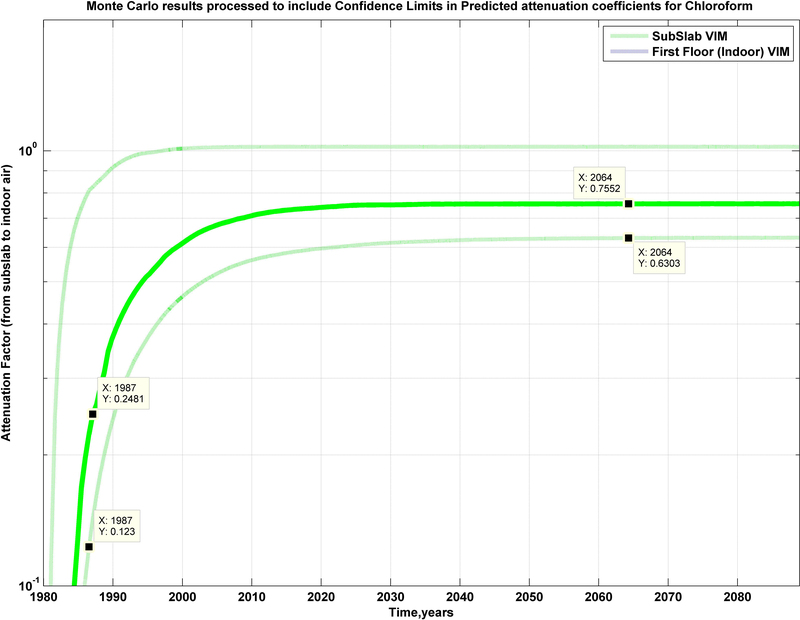 This feature was used to create a confidence interval about the predicted results, assuming a range of input data can be reasonably specified.